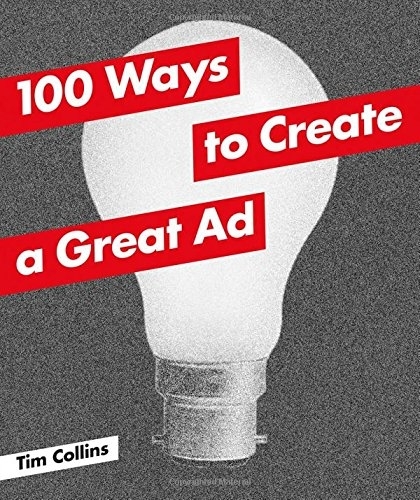 100 Ways to Create a Great Ad is an accessible introduction to creative advertising techniques. Featuring 100 spreads detailing concepts such as the ‘Reveal’ and the ‘Mash-Up’, it presents the key methods of devising print, television, radio, direct and online ideas. The process of creating an ad can be divided into three steps: planning, concept creation and crafting. This book provides a straightforward guide to concept creation, including methods that are applicable across media, and it offers wide-ranging examples from international campaigns. Aimed at agency creatives, planners and account handlers, as well as graphic designers, marketing professionals and students, 100 Ways to Create a Great Ad has wide-ranging appeal. Tim Collins is originally from Manchester, England and now lives in London. Following a successful advertising career, he has written numerous books for children and on humour including The Little Book of Twitter: Get Tweetwise! (2009). One of the best books that I have found for inspiration.